PNOY: NO FAULTY PROJECTS IN MY ADMINISTRATION - Amid concerns raised by the European Chamber of Commerce, President Aquino maintained yesterday that faulty projects could not be allowed even if they were foreign-funded so as not to waste government resources. SC ASKS FOR JUDICIAL COURTESY - The Supreme Court yesterday appealed for judicial courtesy even as it reminded the House of Representatives justice committee that it has already cleared Associate Justice Mariano del Castillo on the same plagiarism charges being used in the impeachment proceedings against him. TORRES WON'T QUIT UNLESS PRESIDENT ORDERS HER TO - Lsnd Transportation Office chief Virginia Torres on Monday vowed to stay in her post until President Benigno Aquino III or a court orders her fired. With a new graft charge pending against her, Torres said she would do her job despite the opposition from transport groups and the agency's information technology supplier, Stradcom Corp.
GENUINO FACES 2ND CRIMINAL COMPLAINT - A second criminal complaint was filed on Tuesday with the Ombudsman against Ephraim Genuino, former chairman and chief executive officer of the Philippine Amusement and Gaming Corp. (Pagcor), and eight other former officials of the agency for alleged malversation of public funds involving more than P34,322,963.79 that was intended for the training of national swimmers. JBC WANTS SANE JUDICIARY - The powerful Judicial and Bar Council headed by Supreme Court Chief Justice Renato Corona required psychiatric and psychological tests for all applicants to the Supreme Court. The requirements applied to incumbent justices from the Court of Appeals, Sandiganbayan and Court of Tax Appeals and judges who seek promotion. VENTURA COUNTY STAR - USA: AQUINO HALTS SOME QUESTIONABLE PROJECTS >>> President Benigno Aquino III is canceling or reconsidering foreign-funded infrastructure projects worth $2 billion, saying that although his country badly needs improvements, the contracts are overpriced and technically deficient. He told The Associated Press in an interview Friday that he has canceled a Belgian-funded lake dredging project, and ordered a restudy of a Chinese-financed rail line and renegotiation of a French-funded port work. DENR OFFICIAL CLEARED IN 1999 SLIDE - The Sandiganbayan has cleared an environment official of graft in connection with the Cherry Hills landslide that buried or destroyed 300 homes and claimed the lives of 59 people in Antipolo City nearly 12 years ago. FORMER AMBASSADOR CHARGED WITH MALVERSATION IN 2007:The Office of the Ombudsman ordered the filing of a criminal case against a former ambassador for misusing government funds worth over US$95,856. In a 24-page resolution approved by acting Ombudsman Orlando Casimiro, the Ombudsman said there is probable cause to charge former Ambassador to Nigeria Masaranga Umpa of four counts of malversation of public funds under Article 217 of the Revised Penal Code for misusing Assistance to National (ATN) Standby Funds in the total amount of US$95,856 for the repatriation of abducted Overseas Filipino Workers (OFWs) in 2007. What would happen to a nation if there are officials in its government who are the least qualified or most unprincipled citizens? This issue is the subject of the new book by Dr. Ronnie V. Amorado entitled “Kakistocracy: Rule of the Unprincipled, Unethical, and Unqualified” which will be launched during a Visayas colloquium and book launching slated June 21 in Cebu City by the Office of the Ombudsman in the Visayas headed by Deputy Ombudsman Pelagio Apostol and the United States Agency for International Development (USAID). The book launching is also sponsored by the Visayas Executives Council of Leaders (VECL), Visayas Resident Ombudsmen Council of Leaders (VROCL), Visayas Federation of Corruption Prevention units (VFCPU), EHEM! Anti-Corruption Network and other anti-corruption partners of the Office of the Ombudsman-Visayas. The book tackles corruption in the Philippines and the initiatives undertaken by the government. The campaign against corruption is one of the major thrusts of the Aquino administration. Dr. Amorado is currently the national coordinator of the EheM Anti Corruption Group of the Philippine Province of the Society of Jesus and is advocating a process of self –check and cultural reforms in the fight against corruption in the Philippines. DEPARTMENT OF JUSTICE JOINS BUSINESSMEN'S ANTI-CORRUPTION DRIVE: A business sector-led Integrity Initiative, which asks members to sign a pledge to say no to bribery and unethical business practices, has won the support of Justice Secretary Leila de Lima. De Lima signed her pledge on Friday in behalf of the Department of Justice (DoJ), a move that Peter Angelo Perfecto of the Makati Business Club (MBC) believes will pave the way for more government leaders to join hands with the business community to push the anticorruption initiative. The MBC together with the European Chamber of Commerce of the Philippines last year launched the Integrity Initiative, a multi-organization approach to put an end to the culture of corruption in the country, one company at a time. Other movers of the project are the American Chamber of Commerce of the Philippines, Asian Institute of Management, Coalition Against Corruption, and the Management Association of the Philippines. The DoJ is the first government organization to join the private sector-led initiative. NEW ANTI-ORGANIZED CRIME CZAR NAMED: President Benigno Aquino III has designated Executive Secretary Paquito Ochoa, Jr., as head of a reorganized presidential anti-crime body. Executive Order No. 46, signed by both Aquino and Ochoa on June 13, reorganizes the Presidential Anti-Organized Crime Commission and assigns Ochoa to head the body, which includes the secretaries of the interior, justice, national defense and foreign affairs, the national security adviser, the Armed Forces chief of staff, the PNP director-general, the National Intelligence Coordinating Agency director general, the National Bureau of Investigation director and the Philippine Center for Transnational Crime executive director. Among the powers and functions of the commission is to conduct intelligence and counter-intelligence operations to identify government officials and employees, crime syndicates and their cohorts, who are involved in criminal activities. SENATOR PUSHES FIGHT VS CORRUPTION: Senate Minority Floor Leader Alan Peter Cayetano said if the Aquino Administration means business in fighting corruption, it should go after both the big fish and the smaller fishes as well in all government departments and agencies. "Yes it is high time that we go after big fish but what about smaller fishes in the government who have been doing the paperworks?," Cayetano told reporters. He cited for example that at the Commission on Elections (Comelec), some of the officials implicated in the controversial "Hello Garci" scandal are still getting appointed and even promoted...The Senator from Taguig said that stamping out corruption is a good promise or campaign slogan but pointed out that after almost one year in office, the Aquino Administration has yet to hold anyone accountable. ANTI-CORRUPTION GROUPS CALL FOR NEW CUSTOMS COMMISSIONER: Anti-corruption groups are calling on President Benigno Aquino III to appoint a new customs commissioner as they defended the journalist criticized for his series of reports on the alleged smuggling at the Davao port of the Bureau of Customs. The groups, which include the People Power Volunteers for Reform (PPRV), the People's Action Against Corruption (PAAC) and the Ehem Anti-Corruption Program, among others also called on the President to re-install the operation of the countrys first container yard outside custom's zone as a way to fight corruption...The groups offered a number of solutions, among them an appointment of the new customs commissioner and a clean-up of the BoC and the re-installation of container terminals outside of customs zone as a way to combat corruption. To perfect the system that will minimize smuggling within the BoC ports, the groups proposed that a citizens' watch group should be tasked to look into the operation of container yards outside the customs zone (CYOCZs) and that CYOCZs should report directly to the BoC in Manila for the anomalies discovered in local ports. The group also proposed that CYOCZ operators who were service providers in the area should be chosen to prevent individual or groups from monopolizing all CYOCZs. PALACE REORGANIZES CRIME COMMISSION: The Palace has re-organized the Presidential Anti-Organized Crime Commission (PAOCC) under the chairmanship of the Executive Secretary, to act on offenses such as drug trafficking, human trafficking, carjacking, gunrunning, robbery/hold-up, kidnapping for ransom, smuggling and transnational crimes. COTOBATO CONGRESSMAN FACES MULTIPLE MALVERSATION, GRAFT RAPS: Acting Ombudsman Orlando Casimiro today ordered the filing of multiple counts of malversation and graft charges against North Cotabato 1st District Rep. Jesus Sacdalan for allegedly misappropriating P16.6 million in public funds when he was still governor in 2008. Casimiro said he has ordered the filing of 12 counts of malversation and 12 counts of graft against Sacdalan before the Sandiganbayan. Sen. Panfilo Lacson confirmed yesterday that each senator is getting an additional P30 million on top of the P200 million in pork barrel funds allocated in the 2011 national budget. He said the additional funds would come from the proceeds of the Road User's Tax. When asked at the weekly news forum Kapihan sa Senado, Lacson immediately defended the Palace regarding the "initiative" which will benefit the senators as well as the over 200 congressmen (P10 million each) and at least 14 governors allied with the ruling Liberal Party. PALACE: NO SPECIAL TREATMENT FOR PNOY BUDDIES >>> Malacañang disputed Friday House Minority Leader Edcel Lagman's statement that President Aquino has ignored the justice department's recommendation that Land Transportation Office chief Virginia Torres be placed under preventive suspension and that she be charged with an administrative case in connection with her involvement in the attempted takeover of the office of Stradcom, LTO's IT provider. Presidential spokesperson Edwin Lacierda said the President is still going through the DOJ's fact-finding report and recommendation and that there could still be an action to be taken "one way or the other." SUSPENDED PROSECUTOR ACCUSED OF BOTCHING TAX FRAUD CASE: Senator Antonio Trillanes IV asked Malacanang to look into alleged inaction on a P5.2-billion tax credit fraud case by Special Prosecutor Wendell Barreras-Sulit, who was ordered suspended Wednesday...Trillanes said the Palace must look into "her role in the alleged mishandling of plunder charges against spouses Faustino and Gloria Chingkoe," who have been accused of defrauding the government through Tax Credit Certificates. The tax credits were essentially tax refunds granted to certain businesses. The Chingkoes have been accused of selling their TCCs to other corporations, notably Petron and Pilipinas Shell. These companies then used the credits to pay off their obligations to the Internal Revenue and Customs bureaus. The senator said Sulit should be investigated for letting the couple leave the country even though they were charged with plunder six days before departure. HEIDI MENDOZA: HONESTY IN CHURCH FINANCES ALSO NEEDED >>> Whistleblower Heidi Mendoza believes honesty in government, business and even in the Church is needed to bring change in the country. We cannot dream of an honest government without doing anything. We need to do something, Mendoza told the Catholic Churchs financial administrators. Mendoza is the guest speaker at the Archdiocesan/Diocesan Financial Administrators of the Philippines 13th National Convention currently being held at the Pius XII Center in Paco, Manila. The yearly gathering, which will end on Friday, is focused on the theme "Sustaining Opportunities towards Success." Mendoza, who blew the whistle on corruption in the military, said it is difficult to hold money "especially if it is not yours." She, however, noted: "It's not true that it's hard to be honest even in times of need." I'm not holy or religious but I'm always looking at God's will. Another way to (maintain honesty) is constant prayer," she said. "I'm always proud that I am a Catholic. 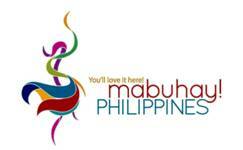 I'm always proud that I'm a Filipino. I'm always proud that I'm a public servant," Mendoza added. "The only key is by being true to God. If you have faith you dont have to worry about many things that might come along your way." The suspension of Special Prosecutor Wendell Sulit, who approved the plea bargain offered by former military comptroller Carlos Garcia, would boost the anti-corruption drive of the Department of National Defense (DND), a senior official said yesterday. DND spokesman Eduardo Batac said the 90-day suspension slapped on Sulit sent a message that the government is bent on curbing irregularities. "The perception that is strengthened is the seriousness of our government to take very hard measures against those who committed acts of graft and corruption," Batac said. Malacañang has suspended Special Prosecutor Wendell Barreras-Sulit for 90 days pending her investigation for administrative liability in approving the plea deal of former military comptroller Carlos Garcia. Executive Secretary Paquito Ochoa Jr. issued the order last Tuesday to prevent Sulit from tampering with records and harassing potential witnesses in the investigation. The order takes effect upon its receipt by Sulit. It said her prevention was needed "considering the seriousness of the charges, the existence of prima facie case against respondent that she is probably guilty thereof which warrants her removal from the service" The Palace said it has jurisdiction over Sulit and her deputies since they are all presidential appointees and are not impeachable officials like the ombudsman. In a statement, Malacañang said Sulit violated existing rules and jurisprudence when she entered into the plea bargaining deal with Garcia. Sulit and her deputies were alleged to have deliberately impaired the case for the prosecution by ignoring and abandoning evidence favorable to the interest of the government and presenting evidence adverse to its cause. Sulit was also accused of failing to discharge her duty of prosecuting erring public officials with utmost responsibility, integrity and professional competence. PAGCOR SHOULD NOT BE IN SHOW BIZ: The Philippine Amusement and Gaming Corporation (PAGCOR) is a government entity, and its funds should be used for public purposes. "The expenditure, even if considered as purchase of tickets, is simply unconscionable and does not serve any public purpose of whatever form," said PAGCOR director Eugene Manalastas, who filed a criminal suit...against former top officials of the gaming body for the alleged illegal disbursement of P26.7-million funds. The money, according to Manalastas was reportedly used to bankroll part of the production of the critically-acclaimed 2008 movie "Baler." SENATE PRO TEMPORE: "BABYING" OFFICIALS NOT HELPING P-NOY >>> Senate Pro Tempore Jinggoy Estrada yesterday advised Pres. Noynoy Aquino to show decisiveness in dealing with his officials being accused of irregularities in order not to be the "whipping boy" of the camp of former president and now Pampanga Rep. Gloria Macapagal-Arroyo. Jinggoy, who is among the Aquino's strongest supporters in the Upper Chamber, said Malacañang's image is starting to suffer over growing public perception that Pres. Aquino is not being decisive enough in dealing with officials he has designated to help him run the government. The minority in Congress has formed its own "anti-crony watch" targeting personalities in the Aquino administration who are now the subject of complaints and suspicion by the public. DON'T HIDE BEHIND WITNESS PROTECTION PROGRAM, RABUSA DARED: Retired and active military officials named in the plunder complaint filed by retired Col. George Rabusa before the Department of Justice said the whistleblower should not hide behind the government's witness protection program. The respondents said while Rabusa must prove his allegations, he should also allow himself to be challenged to lend credence and credibility to his accusations. GROUP FILES PLUNDER COMPLAINT VS OUTGOING DoTC CHIEF: A road user's group has included outgoing Transportation and Communications Secretary Jose "Ping" de Jesus in a plunder case it earlier filed against executives of the Department of Transportation and Communication (DoTC) over the collection of questionable fees. In a statement on Sunday afternoon, Raymundo Junia, president of the Road Users Protection Advocates (RUPA), said De Jesus was included Friday in plunder charges earlier filed before the Ombudsman for the alleged illegal collection of almost P2.8 billion in "interconnectivity fees" by the Stradcom, DOTC's sole IT contractor. RUPA noted that even if De Jesus was already on his way out, he was among DoTC officials who allegedly "aided, abetted, connived or conspired with other DoTC and Stradcom officials" to allow the collection of questionable fees. AQUINO ORDERED DoTC CHIEF TO ALTER REPORT ON LTO DEAL: Transportation and Communications Secretary Jose "Ping" de Jesus did not resign from his post due to health reasons but rather quit in disgust after President Aquino ordered him to change his recommendation on the automated system being rendered by Land Transportation Office (LTO) Information Technology (IT) provider Stradcom that will in effect terminate its contract with the government which was the demand of...LTO head Virginia Torres. Five Court of Appeals (CA) justices and a 68-year-old outsider have been nominated for two vacancies in the Supreme Court (SC) following the retirement of Associate Justices Antonio Eduardo Nachura and Conchita Carpio-Morales. THE Presidential Commission on Good Government on Tuesday filed a claim with the Register of Deeds of Pasig City seeking to reverse the transfer of what it said was a "grossly disadvantageous" sale entered into by the previous administration of a 12-hectare property located along C-5 Road. It added that it would also petition the anti-graft court to nullify the deal. The Housing and Urban Development Coordinating Council (HUDCC) is to require various government-owned and controlled corporations (GOCC) and local government units (LGU) to account for over P14.9 million that have remained unliquidated in the last five years. The Commission on Audit has called on an attached agency of the Department of Education to settle its unliquidated cash advances for the past nine years which have reached P3.2 million as of Dec. 21, 2010. Intending to bring its services closer to the people, the Office of the Ombudsman in Visayas is gearing to have a public assistance center in every barangay so that the community will not find it hard to air or file their complaints against malpractices of local officials. Thw Ombudsman has ordered charges filed against former Ambassador to Nigeria Masaranga Umpa for misusing $95,856 that had been intended to send home some Filipino seamen in 2007, an official said Sunday. The three regional offices of Department of Public Works and Highways, the Department of Social Welfare and Development and the Department of Finance is set to receive their respective agency's share in the first tranche release of the $434-million grant from the United States Millennium Challenge Account Philippines come July 1. The House Committee on Public Information, chaired by Eastern Samar Rep. Ben Evardone, has yet to approve the technical working report (TWG) on the 11 FOI bills pending at the Lower Chamber, according to the document given by the Office of Speaker Feliciano Belmonte Jr. The Office of the Ombudsman-Visayas will launch an anti-corruption book entitled 'Kakistocracy: Rule of the Unprincipled, Unethical, and Unqualified' on June 21 at the Cebu Grand Covention Center, Banilad, Cebu City. Dr. Ronnie Amorado who is currently the national coordinator of the Ehem Anti-Corruption Group of the Philippines wrote the book. A migrant workers' rights group called on the Aquino government to account for all the concerned agencies holding public funds intended for overseas Filipino workers' (OFW) welfare programs and services. Land Transportation Office (LTO) chief Virginia Torres said she will resign from her post if critics prove their allegations that she is guilty of any wrongdoing. New York City-based think tank GlobalSource Partners said the Philippines must sustain its momentum on revenue collection, poverty alleviation and eradicating corruption to earn an "investment grade" rating from the global financial community. The Department of Environment and Natural Resources (DENR) has asked the Commission on Audit (COA) to conduct regular audits of its National Greening Program (NGP) in order to ensure transparency in the implementation of the initiative. Acting Ombudsman Orlando C. Casimiro has ordered the filing of criminal charges against a municipal mayor in Sorsogon and a former provincial assessor in Bataan for separate offenses. Malacañang is not aware of the purported memorandum of outgoing Transportation Secretary Jose de Jesus to President Aquino seeking to reprimand Land Transportation Office (LTO) chief Virginia Torres. A plan to revive a 1998 P104 million graft case against Senator Manuel "Lito" Lapid and former Pampanga provincial administrator Enrico P. Quiambao has been junked more than 2 years after Ombudsman prosecutors said the petition should be rejected. LOCAL government units (LGUs) were tasked to publicly disclose expenses or face scrutiny from auditors, constituents and civil society groups, said Department of the Interior and Local Government (DILG) Secretary Jesse Robredo. The Philippine Overseas Employment Administration (POEA) will cooperate with the Senate Blue Ribbon Committee's planned investigation on the alleged padding of job orders by some of its employees to favor certain recruitment agencies. Officials of the Philippine Charity Sweepstakes Office (PCSO) have reported that their predecessors juggled funds intended for charity, operations and prizes, resulting in the loss of billions of pesos that could have been used for medical assistance to the poor. Graft charges were filed before the Sandiganbayan against former Govs. Benjamin Loong of Sulu and Salvacion Perez of Antique over alleged fraudulent transactions involving millions in government funds. For personally utilizing a vehicle intended for use by the municipal health office, a former mayor of Javier in Leyte was sentenced to six to 10 years in prison by the Sandiganbayan. Acting Ombudsman Orlando Casimiro has ordered the filing of graft charges against former Pasay City Mayor Wenceslao "Peewee" Trinidad in connection with the construction of the Pasay City Mall and Market in 2003. The former principal of the Talisay City Central School in Talisay City is still working despite having been ordered dismissed from service by the Office of the Ombudsman-Visayas after being found guilty of dishonesty and falsification of documents. DEFENSE Secretary Voltaire Gazmin has approved the application for indefinite leave of DND assistant secretary for comptrollership and concurrent DND Bids and Awards Committee chair Ernesto Boac after the latter was included among the respondents in the plunder complaint filed by former military budget officer Lt. Col. George Rabusa. The Commission on Audit (COA) in Northern Mindanao said that it had taken action against a government agency and its official for misuse of government vehicle despite receiving transportation allowance. The Office of the Ombudsman for the Visayas denied for lack of evidence an appeal by five Barangay Umapad residents to put Mandaue City Mayor Jonas Cortes and nine other city officials under preventive suspension, over P6 million worth of allegedly substandard housing materials released to fire victims in 2009. Philippine Gaming Corp. (Pagcor) sues 13 former officials, including ex-chairman Efraim Genuino, for malversation of public funds over P26.7 million production cost of 2008 film "Baler." Operatives of the Bureau of Immigration (BI) have arrested an Indian couple who are suspected members of a syndicate facilitating the entry into the country of illegal Indians. House Minority Leader says many were disappointed with President Aquino's Independence Day speech..."While the President trumpeted that he was going to rescue Filipinos from poverty and corruption, the harsh reality is that since he assumed office, all major economic indicators are lower and the corruption index is higher,"
An anti-graft lawyer on Monday said the opposition of former First Gentleman Jose Miguel 'Mike' Arroyo to his nomination for Ombudsman could be seen as a ringing endorsement for his bid. "Legal moves vs Arroyos a plus for nomination to Ombudsman"
"JV" to Gloria: Why panic when you are not guilty? There is a pervading perception that Torres is untouchable - the LTO chief is a shooting buddy of the President and a member of the religious sect Iglesia ni Cristo, whose bloc-voting followers helped Aquino defeat his closest rival in last year's elections. - Editorial at The Manila Standard Today. NEW CITIZENS INITIATIVE IN BOHOL: A fourth citizen-led initiative to help build and ensure public accountability was launched this week with the unveiling of a new group in Western Visayas called Bohol Transparency Network for Transformation (Bohol TNT). The launch here on June 15 brought together local media, civil society, church groups, peoples organizations and business leaders from across the province as well as senior local members of the Philippine National Police and officials from the regional office of the Department of the Interior and Local Government (DILG). Public declarations of support from representatives of all sectors present included a goodwill message from Bohol Governor Edgar Chatto delivered by Provincial Administrator Alfonso Damalerio II. EDITORS & COLUMNISTS discuss media coverage of public corruption: "...the Aquino administration should consider looking into the following if it is indeed serious in contributing legacies in anti-corruption in next five years: >>> Strengthening structures for accountability and transparency >>> cleaning up the Ombudsman; >>> maintaining liaisons with key transparency agencies such as the Ombudsman, Civil Service Commission and the Commission on Audit >>> Formulating and implementing a system-wide plan against corruption, including looking into the controversial pork barrel, >>> dealing with local officials >>> Holding an anti-corruption summit calling on all departments and branches." Who will be the next OMB chief? Who are qualified for the position? Any natural-born Filipino at least 40 years old who did not run in the last elections. He or she must also have been a judge or a law practitioner in the country for at least 10 years. The Ombudsman shall be appointed by the President from a list of at least six nominees prepared by the Judicial and Bar Council (JBC). They shall serve for a term of seven years without reappointment. PRESIDENT Benigno Aquino III vowed Sunday he would not spare his friends in his anti-corruption drive, addressing for the first time criticisms that he has been shielding his close associates from disciplinary action. “We are standing by our promise that we will not let the next administration inherit our problems,” Mr. Aquino said during Independence Day ceremonies at the Aguinaldo Shrine in Kawit, Cavite. President Benigno Aquino III said Sunday his government has stopped several graft-tainted projects and cut bureaucratic perks, allowing it to raise extra money to feed the poor, equip troops and improve the country's image among investors. But Aquino acknowledged in an Independence Day speech that formidable problems continue to plague the impoverished Southeast Asian nation, including shortages of jobs, schools, doctors and hospitals and a dependence on imported rice despite its vast farmlands. More than a century after rising up against Spanish colonizers, Filipinos still have not been liberated from social ills like poverty because they have failed to eradicate corruption, Aquino said in Kawit town in Cavite province south of Manila where revolutionaries declared independence from Spain 113 years ago. "If we want to liberate the country, we need to free the government and ourselves from greed," Aquino said on the balcony of a historic, flag-draped mansion. Aquino said without elaborating that his administration had stopped graft-tainted projects in several government agencies, including the Department of Public Works and Highways and the Laguna Lake Development Authority. Officials have looked into alleged irregularities in a major dredging project at the Laguna Lake agency. Presidential spokeswoman Abigail Valte said close to $23 million (1 billion pesos) worth of contracts were halted at the public works and highways department alone because they were not properly bidded out, lacked required documents or had other irregularities. Slashing high salaries and perks of executives in government-owned corporations increased their revenues to $686 million (29.5 billion pesos), some of which was used to build 20,000 houses for soldiers and police and hire 10,000 additional nurses for rural clinics, Budget Secretary Florencio Abad said. Aquino also cited a military corruption scandal linked to three former chiefs of staff..."The generals were gifted with truckloads of money while those who expose their bodies to bullets suffer in boots ridden with holes," Aquino said. Long entrenched in Philippine society, corruption is an especially explosive issue in the inadequately equipped and underfunded military and has sparked several rebellions by disgruntled troops in the past 25 years. Aquino...won a landslide election victory last year largely due to his name and a promise to fight graft and poverty, which afflicts a third of the country's 94 million people. Bishops in the Philippines are sceptical that President Benigno Aquino III, who swept to power on a platform of fighting corruption, can rid the deeply religious country of graft, the Philippine Star reported this week. Aquino’s vision of making the country free of corruption under his administration is “not attainable”, according to Marbel Bishop Dinualdo Gutierrez. Almost one third of the Southeast Asian nation’s population of 92 million lives below the poverty line. 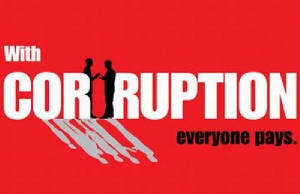 Experts say corruption occurs with impunity, and is a major obstacle to economic development. The Philippines ranks 134 out of 178 countries in the 2010 Transparency International corruption perceptions index, on a par with Nigeria and Sierra Leone. Bishop Gutierrez urged President Aquino, son of the late democracy icon Corizon Aquino, to purge corrupt and incompetent government officials immediately. Other bishops have followed suit, with one calling the president’s promise “a tall order”. The Catholic Church in the Philippines is a powerful political force and has played a key role in the overthrow of two presidents, including Marcos, in the past 25 years. Analysts say its support was critical for the rule of Aquino’s mother as well as his predecessor Gloria Arroyo.